Refillable Sleek Aromatherapy Car Vent Clip & Scent Stick. Àbélà by Scents of Africa® Alluring Mystery is a male inspired fragrance. 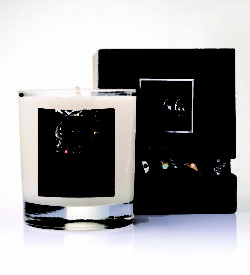 Alluring Mystery has a woody and spicy character with a sensual white musk, tonka beans and amber base notes. Approximate Diffusion Time: 4 weeks Refill scent stick once scent expires. With an alluring synergy of pure essential oils, ÀbélàTM by Scents of Africa® Aphrodisiac No. 9 Aromatherapy Candle is intended to wake the sensual side of life. ÀbélàTM by Scents of Africa® Blue Opal Eau de Parfum Room Spray is a fiercely intense fragrance. Experience the different shades of seduction. 1 unit 250 ml Replacement Glass Jar for Fragrance Diffuser and Essential Oil Diffuser. Does not include reed sticks. Reed sticks need to be bought separately. 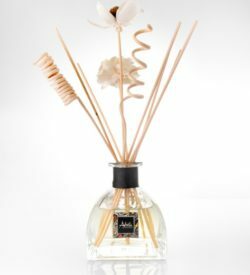 ÀbélàTM by Scents of Africa® Floral Fusion Fragrance Diffuser Kit is a complex bouquet of florals. It's simply a floral haven. It combines floral notes of sweet rose, lily, fern, marigold, hyacinth, jasmine and gardenia with a hint of light musk and amber to round out this intoxicating blend. Reed sticks replacement for use in Àbélà Fragrance Diffuser. This bundle includes the following: 10 Straight Natural Colour Reed Sticks NOTE: It is recommended that reed sticks should be replaced frequently, when clogged or when changing to a difference type of fragrance to enhance the diffusion of fragrance. Green Safari Perfume Room Spray is an excitingly fresh fragrance. Experience the refreshing blend of a green, spicy and romantic safari.